Neon colors are a thing now for spring. 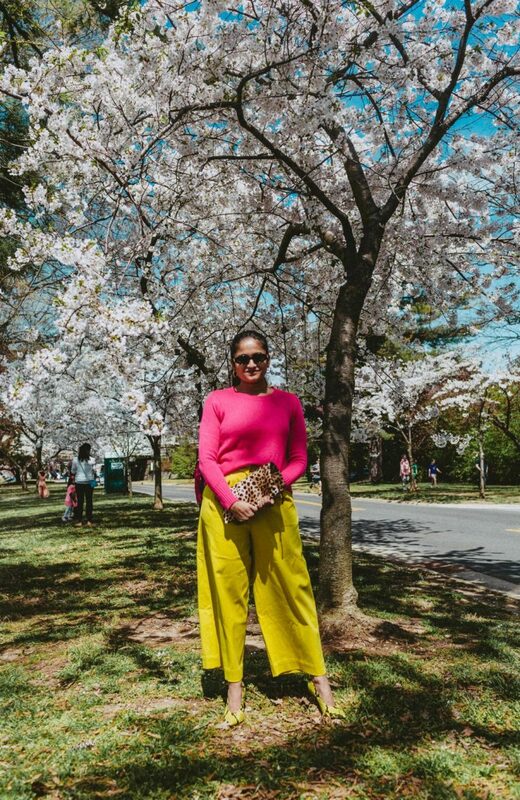 Here is how I would style neon yellow pants, by pairing them with a fuchsia pink sweater and complimenting them with animal print accessories- clutch and shoes. I finished the look with my favorite chunky hoops and black sunglasses. PS: Loving this neon yellow pants outfit? 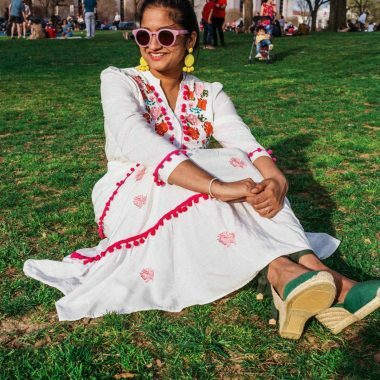 You’ll also like my favorite modest Spring dresses, click here to see them!